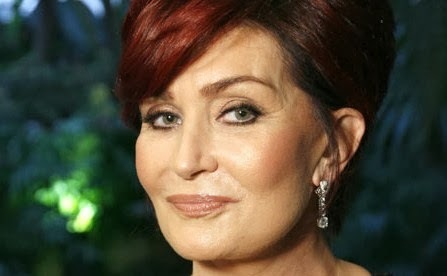 Sharon Osbourne is done with cosmetic plastic surgery! Plus she has some choice words and a big revelation about herself. Mrs. Osbourne recently told U.K.'s Hello! magazine that she has chosen to take a proactive stand against the possibility of breast cancer and opt for a double mastectomy. Sharon made this decision after finding out she has breast cancer gene that could eventually lead to the disease. As you may remember Osbourne battled colon cancer almost a decade ago. A battle which she courageously won, and is now taking preemptive measures to improve her chances of never crossing paths with the dreaded disease again. As soon as I found out I had the breast cancer gene, I thought, 'The odds are not in my favor'. I've had cancer before and I didn't want to live under that cloud: I decided to just take everything off, and had a double mastectomy. In the wake of this unwelcome event, it was also reveled that Sharon's breast implants had been leaking, causing the contents of the implant to drain into the wall of her stomach. Mrs. Osbourne has now officially sworn off any future cosmetic procedures. And she even had a few course words concerning her current appearance, which is presumed to include a few botox and filler injections. Sometimes I'll see a photo and I'll think, 'My face looks plastic', it can look so unnatural from certain angles. Now I am definitely, definitely done. You can't buy your youth back, no matter how much money you've got I won't be going under the knife again. Bless her heart. Here's hoping this message resonates with the masses of cosmetic surgery enthusiasts who will stop at noting to knock a few years off their mug. Godspeed, Sharon!